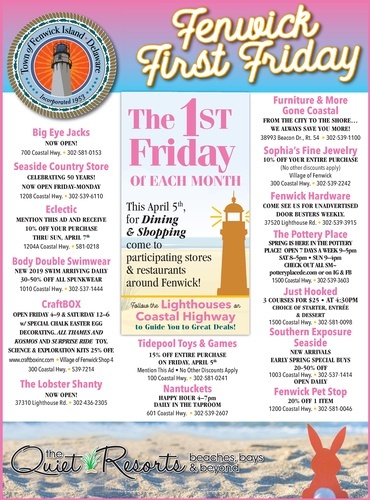 Join us monthly for Fenwick First Fridays! Hosted monthly on the first Friday of each month, participating retailers and restaurants will offer specials and promos! Stay tuned each month for new specials. It is FREE to explore Fenwick Island, and participating businesses will be running their own specials and promos. Are you a business interested in participating? Register now to express interest.